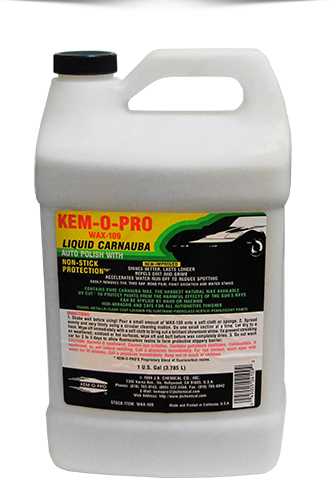 KEM-O-PRO CARNAUBA WAX-109 unique new Liquid Carnauba Auto Polish formula with NON-STICK PROTECTION creates a slippery, slick barrier that accelerates water runoff and protects auto finishes from rain, acid rain, salt, dust, and water spotting. 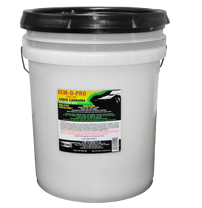 Cleans, polishes, and protects new and used cars, trucks, vans, and boats. 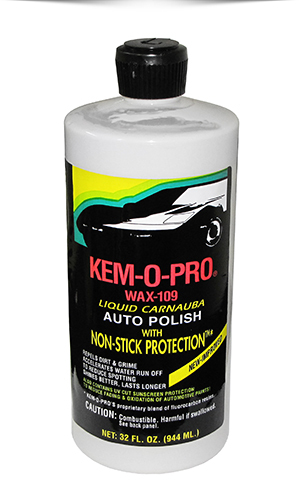 Contains 100% pure Carnauba Wax, the hardest natural wax available.KEM-O-PRO CARNAUBA WAX-109 is non abrasive and safe for all automotive finishes including enamel, metallic, clear coat, lacquer, polyurethane, fibreglass, acrylic and pearlescent paints. 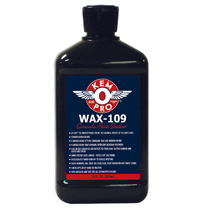 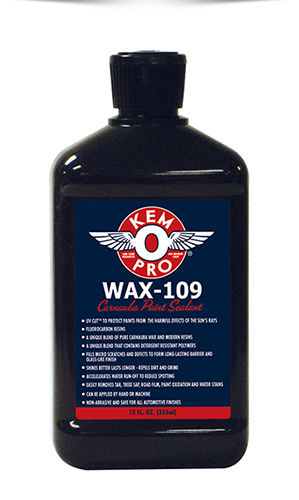 KEM-O-PRO WAX-109 quickly cleans, seals and shines all paint finishes, vinyl, plastic, rubber and chrome trim. 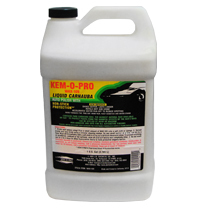 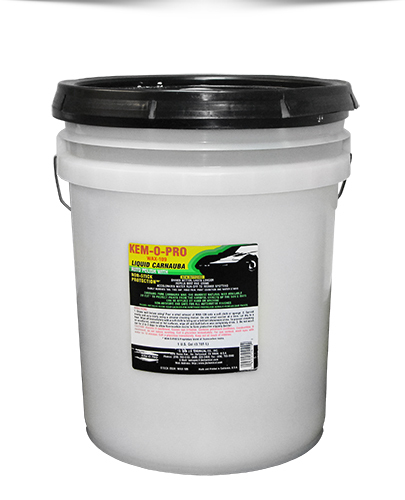 KEM-O-PRO CARNAUBA WAX-109 easily removes tar, dead insects, tree sap, road film, paint oxidation and water stains. 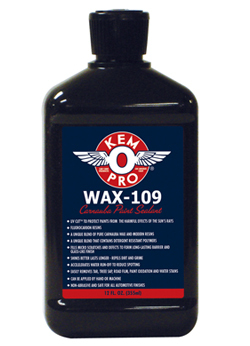 KEM-O-PRO CARNAUBA WAX-109 smooths weathered surfaces and removes minor scratches. 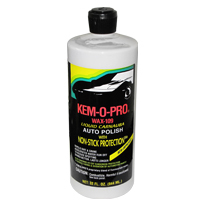 Contains UV cut sunscreen protection to reduce fading & oxidation of automotive paints!